In the Semiconductor business, Tekro brings in expertise in providing total solution support to the customers. For our partners, we specialize in pioneering new markets to create new business and to sustain growth for long term relationships. 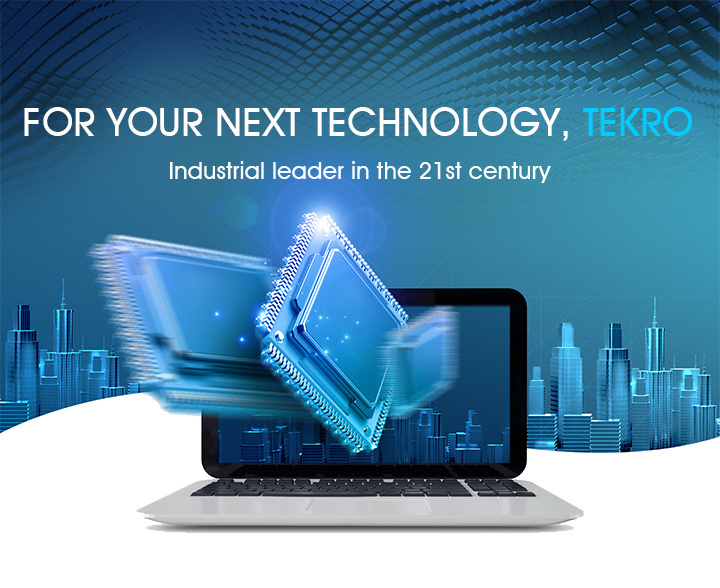 TEKRO was founded in 1998 and we have been growing into a major business agent and distributor in IT Market of Korea. We have become a specialist in supporting developments and production by providing application specific engineering, marketing, logistics services for Solution Providers all over the world. A vast variety of mobile, consumer electronic products are being constantly driven by newly developed technologies and the consumers’ continuous desire for the latest solutions. This market requires sharp foresights into emerging trends and the ability to keep track of and be a step ahead with the market’s constant evolution. Under this environment, we commit ourselves to customers’ successful business by providing extensive knowledge of the technological and value-added services through deep experiences and expertise. We believe it will lead to cost-efficient, rapidly delivered, technically superior products that customers can take pride in. We have succeeded in achieving outstanding business results in mobile, visual display and Network of Samsung as well as LGE. And, we will keep helping our principals adapt to fast growing and rapidly changing IT industries with the most advanced information and professionalism to break all languages and technology barriers. © 2018 TEKRO Inc. (주)테크로. All Rights Reserved.